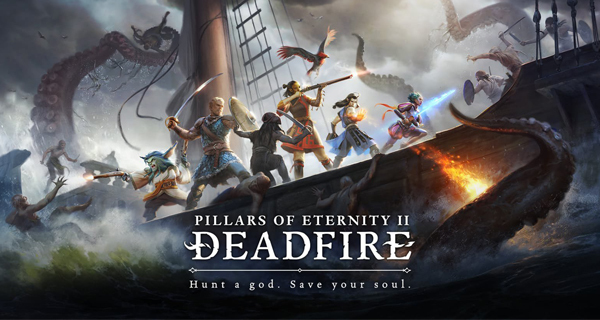 Obsidian has recently announced Pillars of Eternity 2 Deadfire, the sequel to the highly acclaimed Pillars of Eternity. Along with the announcement of the game is a crowdfunding campaign launched at Fig with a goal of raising $1.1 million. As of this writing, the campaign has reached its goal with nearly $1.35 million in pledges. Pillars of Eternity Deadfire will bring back The Watcher of Caed Nua as he hunts down Eothas, the god of light and death who was thought to be dead. The game also features a “living, breathing world” which means the people around you (NPCs) will continue with their daily activities even when you’re not watching. You’ll also meet new and returning companions which are “tightly intertwined with the fate of Eothas.” Deadfire, and those in it, will change according to the choices you will make all throughout the game. If you’ve previously played Pillars of Eternity, you can also continue the story from the previous game and see how your past choices affect your present. Pillars of Eternity 2 Deadfire will be released sometime in Q1 2018.